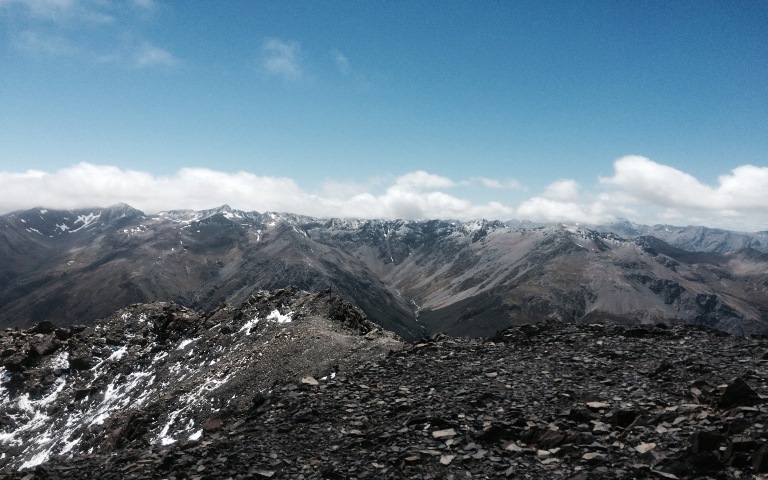 A long ascent to a fine peak with huge views over the Southern Alps. This is quite a demanding walk in high, remote mountains with unpredictable weather. Come prepared. 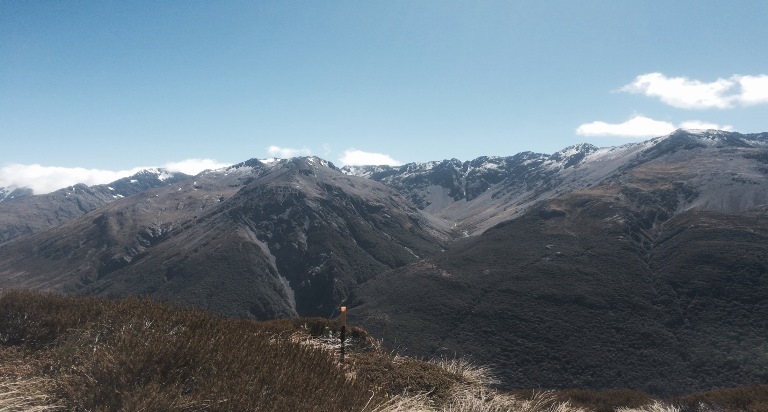 "This is close to the best one day hike that I've done - not quite at the level of the Tongariro Crossing (some locals will argue otherwise...!) but close. Be clear that the final section at the summit is testing. You should not be attempting this in bad weather (and it would not be enjoyable in any case - the views are spectacular but you need a clear day to enjoy them) and you should have a reasonable level of fitness. It will take you 6-8 hours depending on how fast you walk it. The summit can be approached from two directions - one lies north of the village (Scotts Track), the other is in the village itself, from the car park close to the DOC centre. I walked from the DOC centre to the summit and then back via Scotts Track. Unless you want an easier walk (Scotts Track is gentler by some margin than Avalanche Peak), I would recommend this route, using Scotts Track to descend, thus creating a loop track. The trail starts by crossing over Avalanche Creek on Glasgow Bridge (an incongruously-named crossing if ever there was one...). Once over the bridge, your climb begins - and it's quite something. It's almost a vertical climb out of the village as you make your way towards the bush-line. The trail is well-marked. Keep an eye out for the orange triangles. As you move above the bush-line, you'll get some great views back over the village. This photo is taken from the same position as the one above and shows the railway station below. 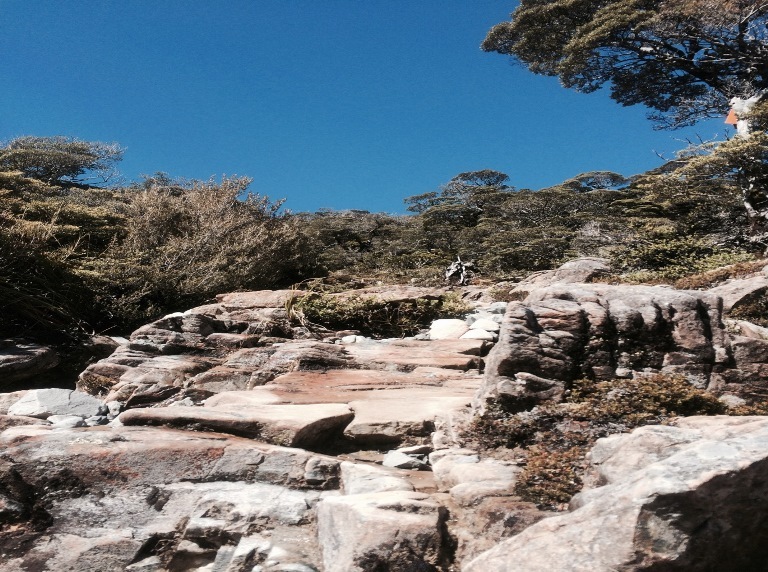 This part of the trail (up to the bush-line) will take you about 1.5 hours. The trail levels out for a short time at the bush-line and then climbs again as a poled route (so navigation is very straightforward) up a tussock ridge. You'll see some beautiful alpine flowers along the route. The views are also starting to become spectacular. Head on for the summit. Just below it, the trail merges with Scotts Track (the poles are marked in a different colour - take note because it is here that you want to branch out to the left as you descend). The walk to the summit will take you 10-15 minutes but, be warned, it is something of a scramble. The ridge is narrow and some of the gravel that you'll cross is quite loose. If you are adventurous, you can descend the other side of the summit and walk down to the Crow River, following it south to the Waimakariri River and then back on to the main highway. You will have to stay at Crow Hut if you do this (which has 10 bunk beds and is available on a first come-first served basis http://www.doc.govt.nz/parks-and-recreation/places-to-go/canterbury/places/arthurs-pass-national-park/things-to-do/huts/crow-hut/ ). I encountered some trampers doing this. Descending is much easier. Return via the same route off the summit but when you see the poles change colour, branch to the left. This takes you on to Scotts Track and will give you some variety. The trail takes you back down through the bush, picking your way across streams in places and eventually emerging about 10 minutes' north of the village. It's worth crossing over the road and accessing the tracks on the other side in order to return to the village because the road itself is quite busy and it's obviously not much fun to walk. I learned one lesson on this trail, which is that no matter how durable your boots seem to be they will eventually fall apart... in my case, on the trail itself! Over the last couple of years I had feared that this would happen, but I loved them so much that I could never quite get rid of them. Ultimately, my procrastination came back to haunt me. 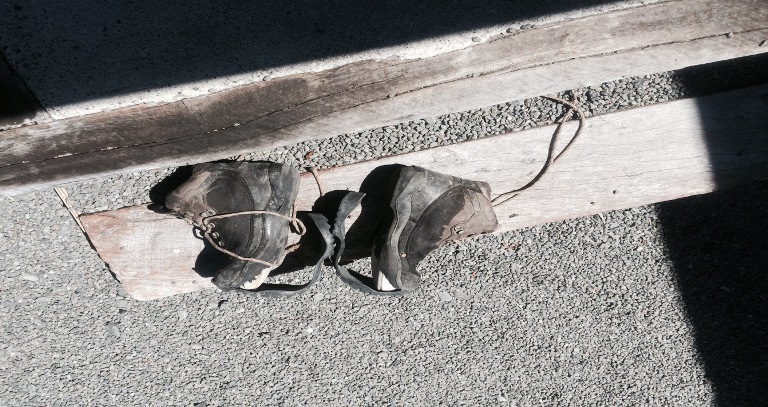 The soles completely peeled away from the foot, first on the right foot, then the left. I had bought them in Sydney in 2005 and had hiked all over the world in them. RIP..."
Walkopedia says: Thank you, Anthony! For more information and photos, including detailed practical information and some warnings, see our Arthur's Pass walk page.